Since the early days of Color Field painting, working on unprimed canvas or linen has given the impression of a certain unfinished immediacy–more like the page of a sketchbook than a finished painting. 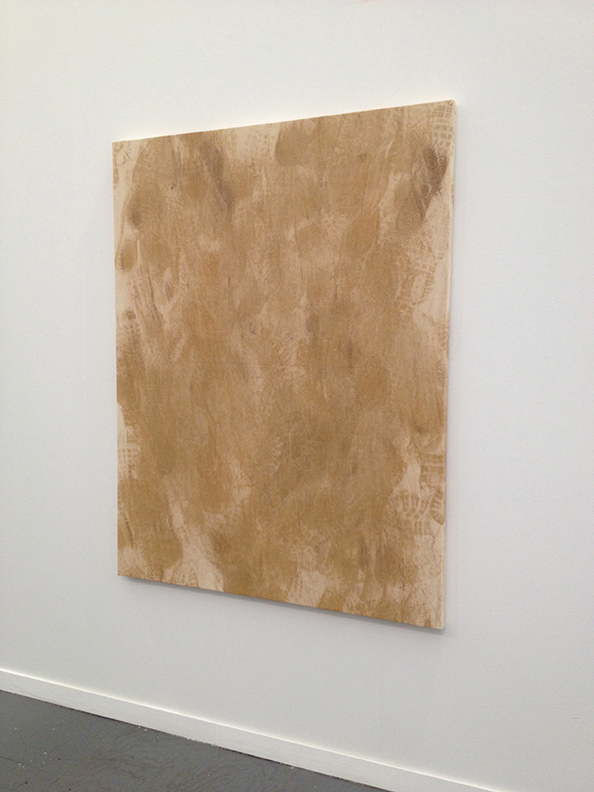 At Frieze this weekend, unprimed materials (or the look of unprimed materials) were well represented, suggesting that painters are still interested in a new realism that subtly fuses the sculptor’s attention to objecthood and materiality with two-dimensional shape and image. as if the patches had a previous, more meaningful, utilitarian life. those myths survive today only as style. Known for using unexpected materials like trash and bubble gum to make paintings, Dan Colen, presents bootprints on unprimed canvas. Gedi Sibony has long used raw materials to realize his DIY-meets-Minimalism vision. 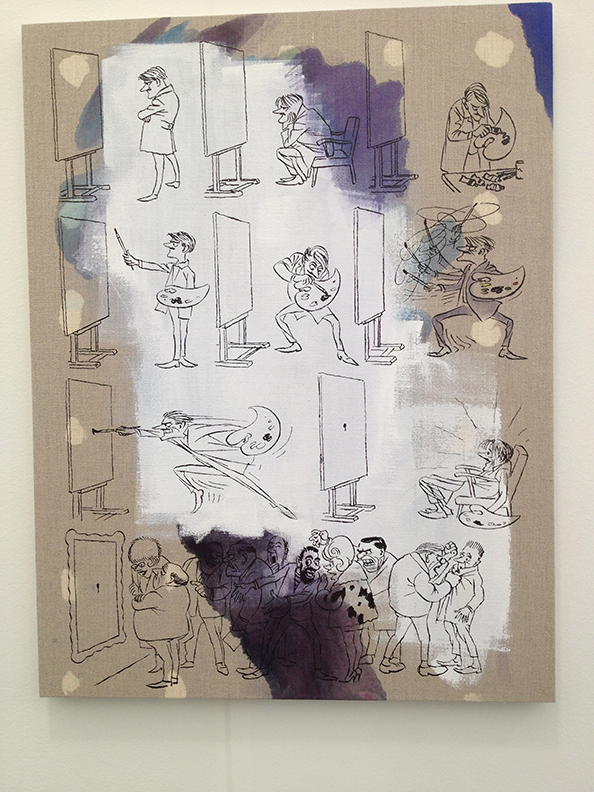 Don’t miss his solo at Green Naftali, which is up through June 15, 2013. 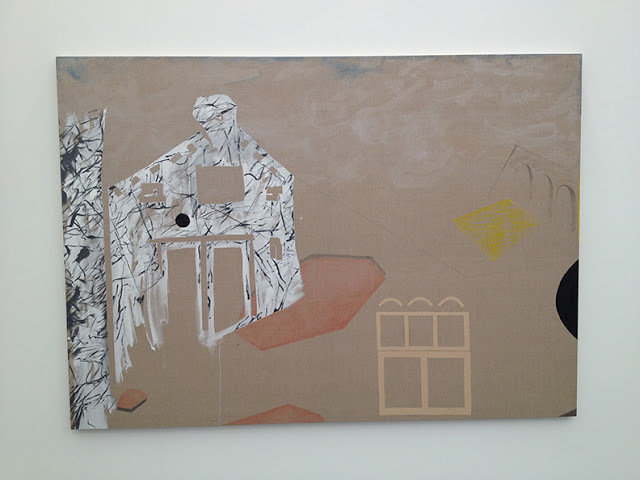 Referencing images from art history, Caragh Thuring‘s endearingly awkward large-scale paintings, simpler and less gestural than the work in her 2011 NYC solo at Simon Preston, depict fragmented bits of architecture and industrial sites on open, unprimed linen. 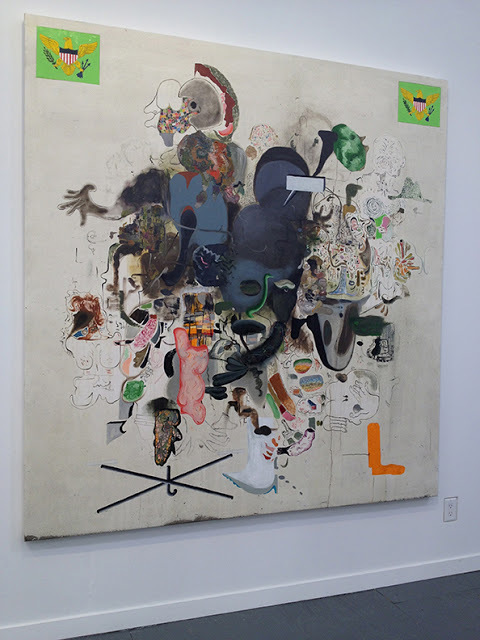 Compared to his older work, which was small scale and dark, Michael Bauer’s new paintings, on display in a couple different booths, feature a larger scale, sketchier forms, more playful squiggles, and a more open, unprimed canvas field. 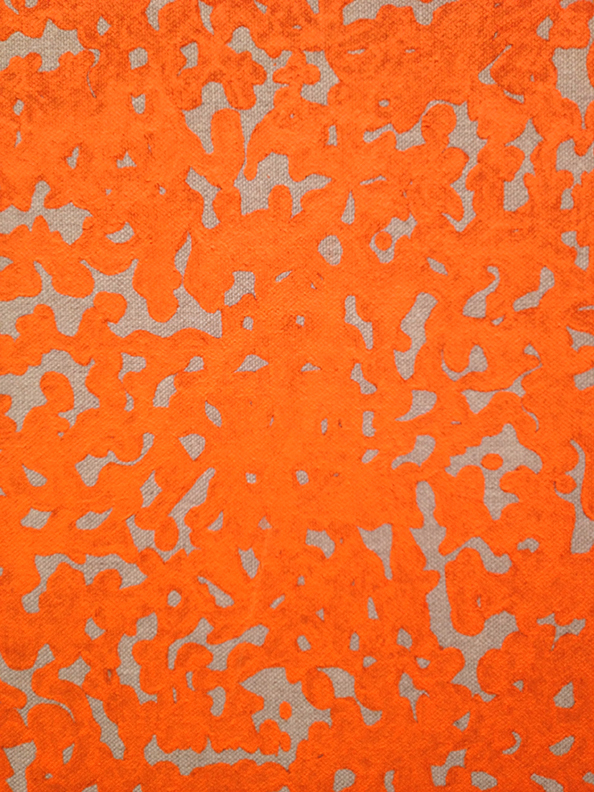 Image above: The Shadow of Bob Seger–Slow Future–Doomed AA, 2013, oil on canvas, 82 x 78 inches. 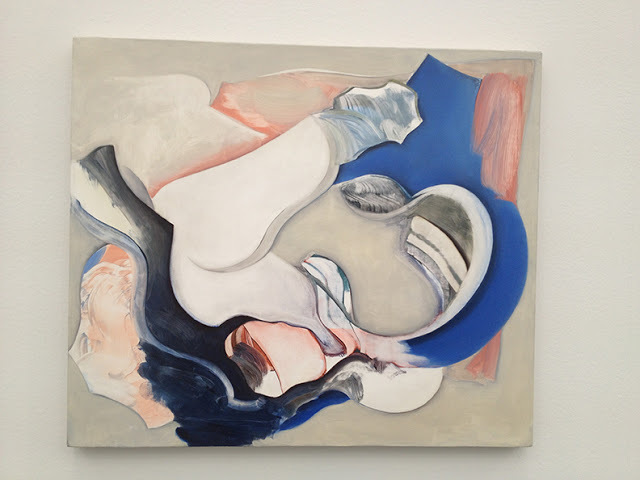 range of new possibilities,” Blom said last year on the occasion of a solo show at Stevenson in Cape Town. “This year I’m narrowing my focus and sharpening my craft.” Stevenson’s booth had a surplus of Blom’s paintings, in all different sizes and colors. 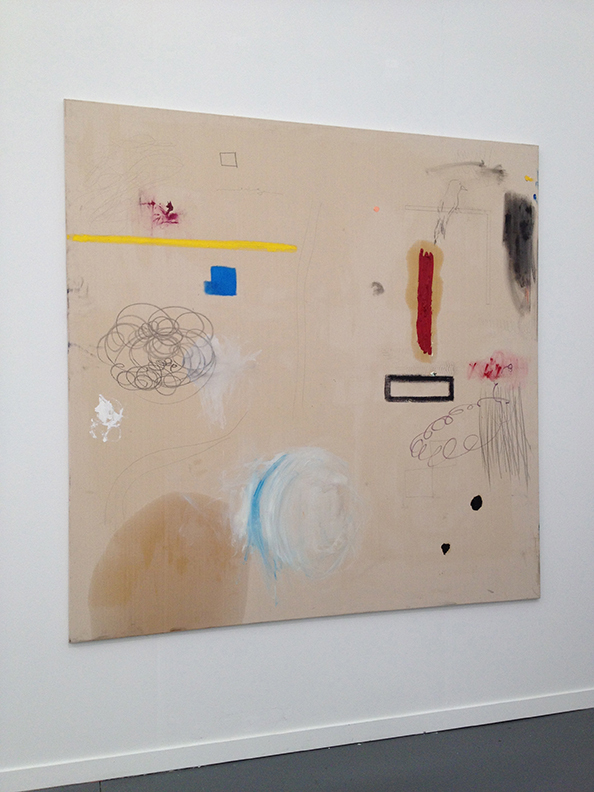 In this painting (artist unknown*), the loose paint handling, scribbled marks, and open canvas conjure Joe Bradley, CyTwombly, and Helen Frankenthaler. This Günther Förg (b. 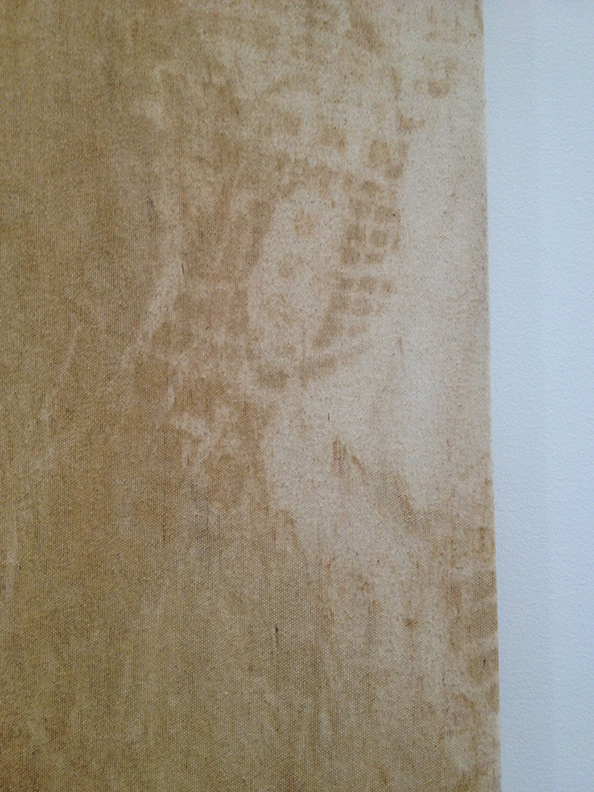 1952) on unprimed canvas is from 1995. Starting in 1992, Förg made grid paintings, known as the “Gitterbilder” series, that referenced details from other paintings, such as the ferocious grid-like brushwork in Edvard Munch’s Death of Marat II. 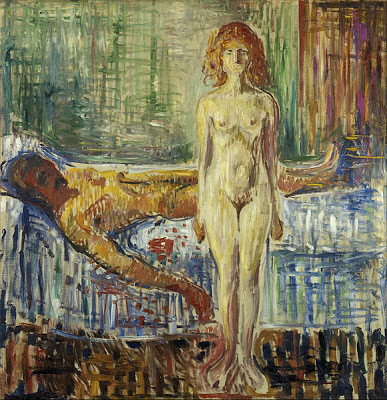 Edvard Munch, Death of Marat II, 1907, oil on canvas. The Munch Museum, Oslo, Norway. 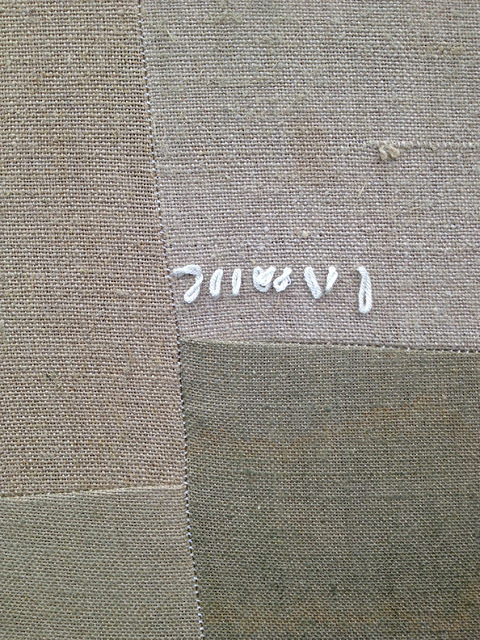 Serge Spitzer, Conventions, (detail) 1972, unprimed linen. Spitzer, who is known for site-specific installations, photographs and video died last September at 61. 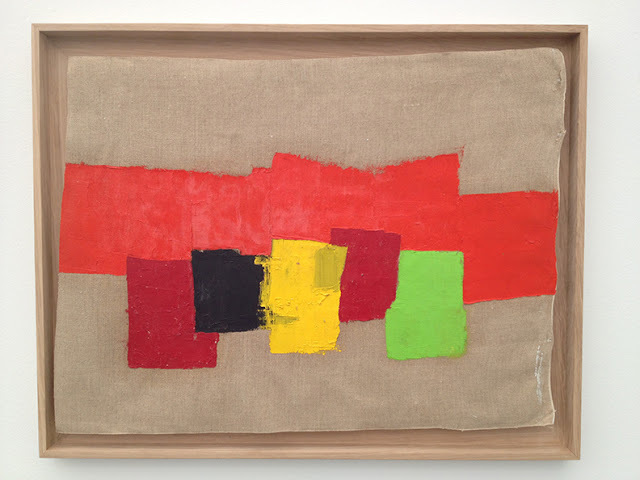 Etel Adnan, Untitled, 1965-70, oil on linen mounted on a board or panel. Born in Lebanon in 1925, Adnan lives and works in Paris and Sausalito, CA, and she just had her first NYC solo show last November at Calicoon. 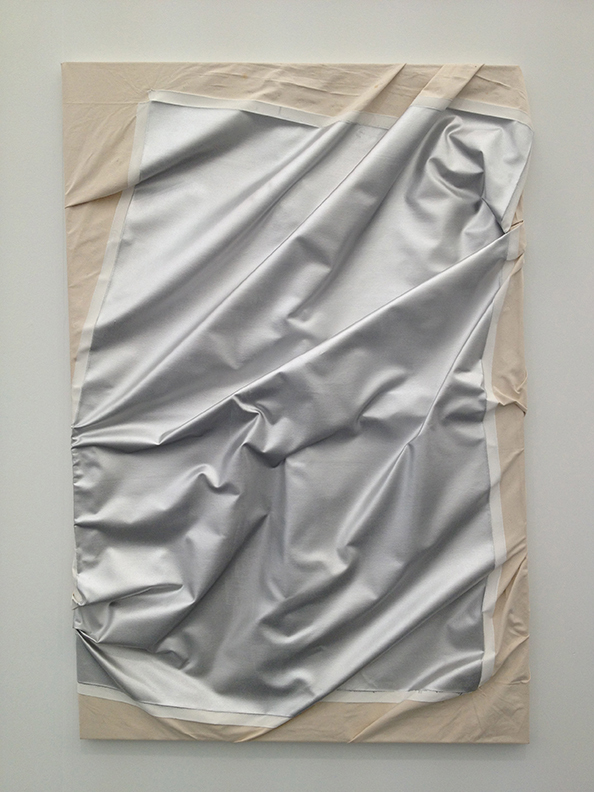 Steven Parrino (b. 1958), 1992ish? Hard to say what year this is, but Parrino, who died in 2005, was known for an existential, post-punk approach that “disrupted the physicality” of the canvas. 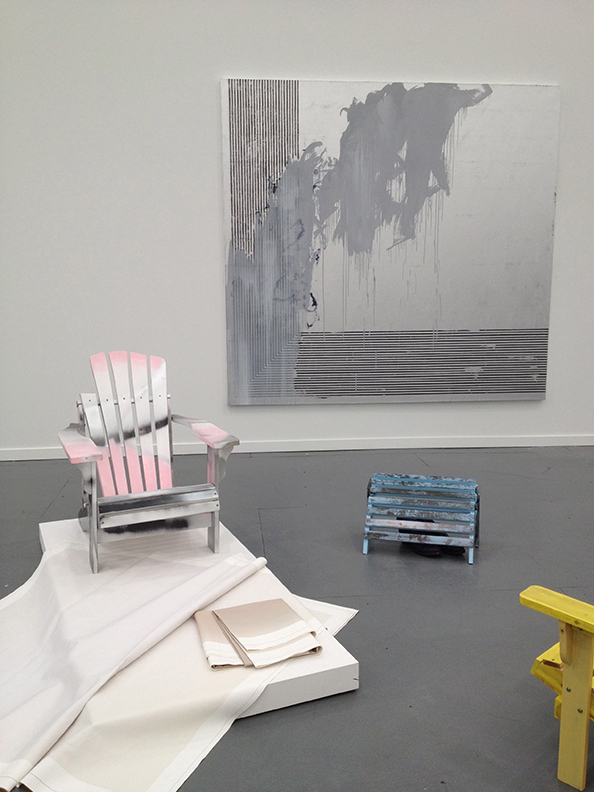 Rachel Harrison‘s installation includes spray painted Adirondack chairs and a few bolts of folded canvas. Pretty funny take on the ongoing sculpture/painting dialogue. That’s a big Jacqueline Humphries silver painting in the background. 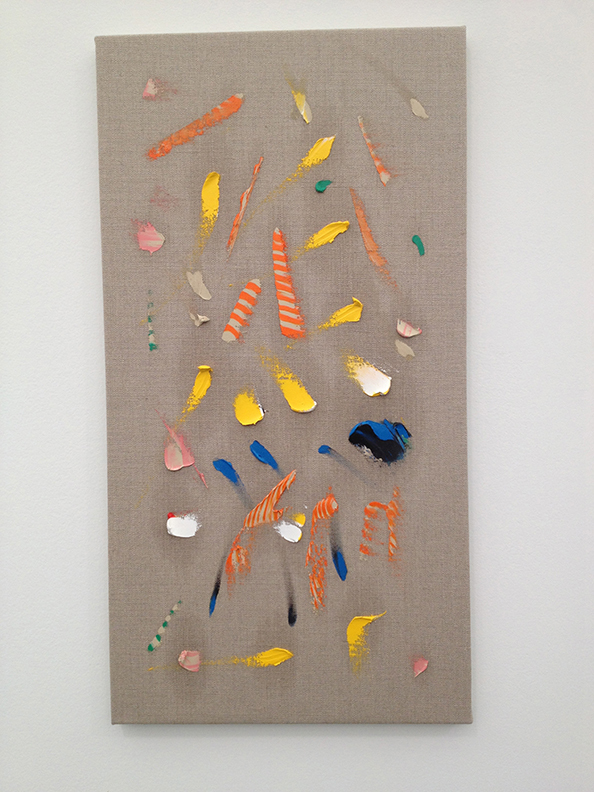 This small 2013 piece by Lesley Vance may look like it’s made on unprimed canvas, but actually it’s linen painted a canvas-like color. When artists start painting primed linen to look like unprimed canvas I have to conclude that the irresolute look of unprimed canvas is unquestionably having its moment. Perhaps the growing presence of this type of work at Frieze is a signal that dealers and collectors are finally warming to elements of provisional painting and casualist abstraction. and online) makes posting even more difficult. 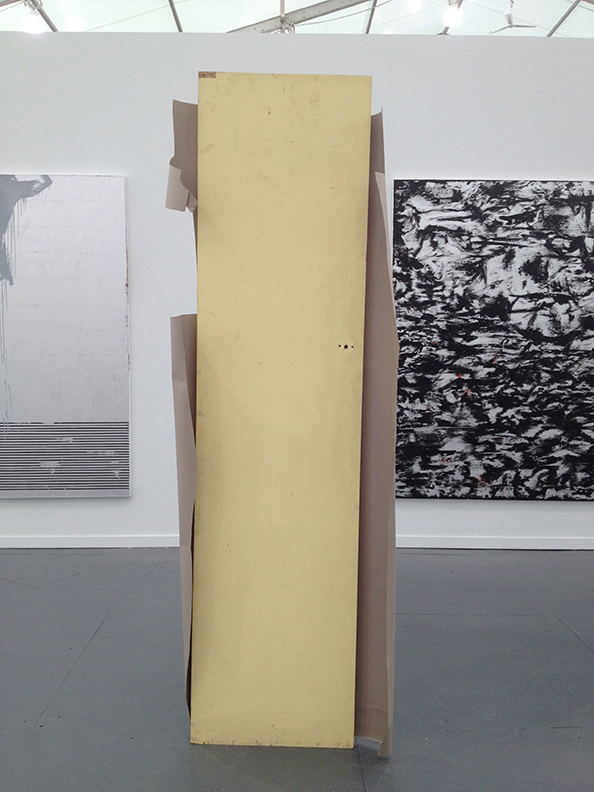 I guess, by design, art fairs are supposed to be fast and loose, right? If you can identify the unknown artists, please leave a comment. Thanks–it takes a village. What's more shocking is the huge number of unknown artists in this article. It is Etel Adnan. She is an 80 year old Lebanese artist and a wonderful poet and fiction writer. I think it was great that she showed at Callicoon Fine Arts. Thanks for helping out, Charles. Personally, I think it's kind of nice not to know the artist's every now and then. 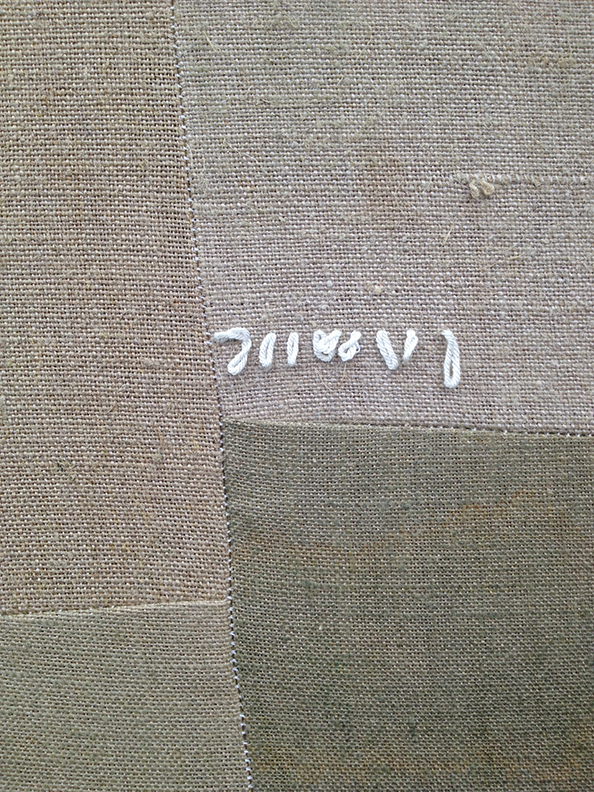 A little anonynimity makes one thing a bit differently about the work. 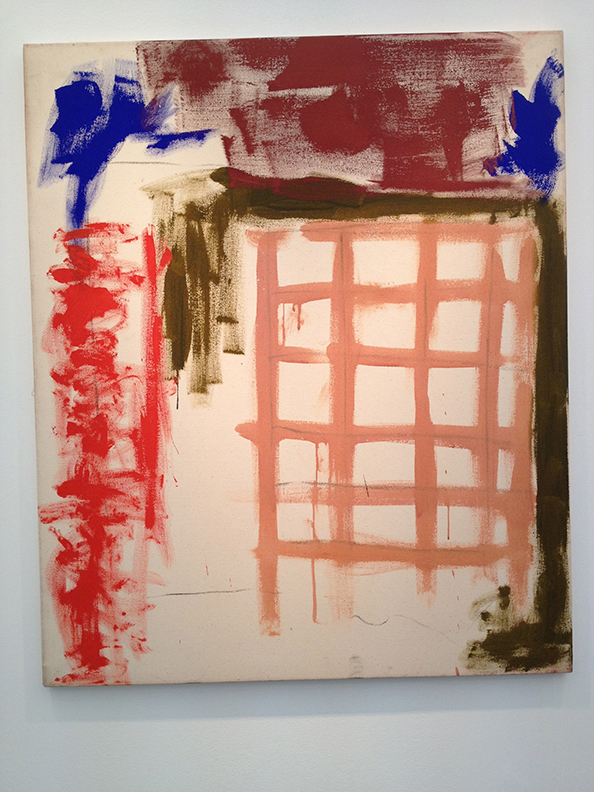 I was thinking Dan Colen, Sterling Ruby or Joe Bradley on the wood boot print piece and it turned out to be Colen! sometimes I really like all of this BS and other times I could take it or leave it – I wonder how people feel after they buy this stuff!? ABSOLUTELY LOVEthe funny sketches of that "Unknown artist (or comedian)"… it quite accurately depicts my own creative process. I believe unknown artist (or comedian) is Sanya Kantarovsky.